​or someone else you know? Impact of a hearing loss? Hearing is something most of us are born with and for the majority, comes quite easy. But, what if it was taken away from you tomorrow? What if, your hearing dropped. How would life be different? How would you communicate with those around you? How would this affect the relationships with your family, friends, work colleagues clients or even the local shop assistant? Unfortunately, these issues are a lived reality for thousands of Australians everyday who are impacted by hearing loss. We know a hearing loss can occur at any age and can have a huge impact on your quality of life. It can strain relationships as communication becomes more laboured. It can impact employment opportunities and your readiness or confidence to participate in social outings. There have even been a number of studies that showing a link between hearing loss and dementia and how even with a mild hearing loss, early intervention can lead to better long-term outcomes. In summary, hearing loss of all degrees and types affects everyone differently. Although there are many repercussions of having a hearing loss, the unifying aspect is how it impacts our relationships with the people around us. Hearing Loss has tendency to creep up on us over many years so often the signs can be quite subtle. You start to become more tired after a social night out where there is a lot of background noise like a party or restaurant. With an increase in listening effort and cognitive load fatigue sets in. ​You start missing the odd word here and there and substitute them with what you think is correct. ​People around you start becoming more frustrated at having to repeat themselves or correct you more often. You are not even aware that you have misheard them. ​You start to hear the occasional ringing in the ears. ​Others complain you have the television or radio up too loud. You start to ask people to repeat themselves more often. You have become aware that perhaps you do have hearing loss. It becomes more difficult to follow conversations with a group of people. You are starting to avoid these situations. It is more difficult to follow conversations on the phone or when you cannot see the speaker's face. You are not able to communicate with your partner or family members unless they are within the same room as you. It is difficult to hear children's voices and people sound like they are mumbling. If any of this is happening to you or someone else you know, a hearing check is a positive next step to make. Call (08)6336 7170 to arrange one today. Get support for hearing loss today. If you are concerned about hearing loss, get expert support and advice today. Just call 1300 774 284 or email to see what we can do for you. What are the types & causes of hearing loss? Hearing Loss can be caused by many conditions and can described as either being sensorineural, conductive or mixed. Sensorineural hearing loss is due to damage or wear and tear to the delicate structures inside the cochlear or auditory nerve. With this kind of loss, the problem is permanent and accounts for 90% of all hearing losses. This includes hearing loss due to ageing (presbycusis), noise exposure or damage to the outer/inner hair cells within in the cochlear. People will often describe that not only volume but clarity is compromised with this hearing loss. Conductive Hearing Losses occur due to complications, blockages or infections in the middle or outer ear (middle ear cavity, ear canal or pinna). It attenuates sound being transferred to the cochlear thus making sounds more dull and soft. These hearing losses are usually temporary if due to earwax or middle ear infections. However, for some pathologies or anatomical abnormalities, the problem can be permanent. Is is quite common for a patient to present with both a sensorineural and conductive hearing loss. In this case, their hearing loss would be described as a mixed hearing loss. 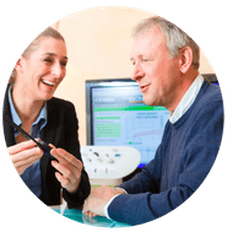 To find out if you have a sensorineural, conductive or mixed hearing loss, you will require a comprehensive hearing assessment. For more information or if you would like to arrange an appointment, please call (08)6336 7170 or email today. A thorough hearing test is the first step towards better hearing. It costs $100 (rebates apply), usually takes 60 minutes and involves several test. A thorough hearing assessment can only be administered by a University trained Audiologist. The various tests performed measure your hearing levels, speech discrimination ability, speech perception ability in noise as well as middle ear status. 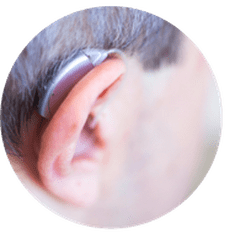 We also conduct a thorough case history to get a good handle of the impact of any hearing difficulties you may possess. Our equipment is state of the art, conforms to current ANSI S3.6, CSA Z107.6- 16 standards & IEC 60645-1 and 60645-3 and undergoes annual calibration to ensure the highest accuracy is maintained. The noise level of our rooms have also been expertly measured to conclude that no small testing booth is needed. 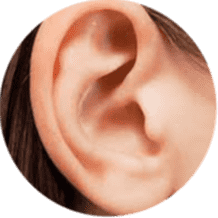 Unlike a lot of other clinics, Pristine Hearing will always make sure your ears are clear of wax and debris that can impact the results of your test. In this respect, all patients seen at Pristine Hearing will undergo a thorough ear examination prior to any hearing assessment and if necessary, a thorough micro-suction ear clean will be performed FREE of charge*. * At normally $120, this appointment is free for patients who proceed with hearing aids. Otherwise it is $80 when incorporated with a thorough hearing assessment. If a hearing loss is diagnosed, you will be presented with different treatment options including hearing aids if appropriate. All information provided to you on the day including your results will be presented in easy to understand language. 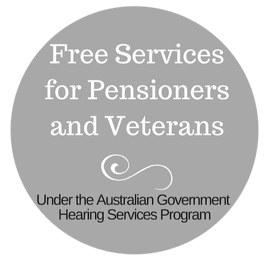 A hearing screening is a FREE quick 15 minute appointment (we are happy yo go overtime) designed as an information gathering session for you. You are there to work out if your hearing is down, what future steps need to be taken and funding options that you could access should intervention be required. Who would have thought there were so many benefits to treating hearing loss with early intervention leading to better results. Let's face it, life is more enjoyable when we can hear what people are saying. Whether it is the first word of a child or the punch line of a joke or even your partner reminding you to take the rubbish out, we need to feel connected to someone. Life would be rather dull, sad and quite depressing if we could not. Besides improving relationships by improving communication, Independent Audiologist Australia lists 4 other benefits of treating hearing loss sooner. 1. Increased Energy - easier hearing uses less energy meaning you will be less tired. 2. Improved Employment - studies show that people who treat their hearing loss sooner have better job security and higher earning potential. 3. Relief from Tinnitus - tinnitus can often present with a hearing loss. If so, well fitted hearing aids can generally offer substantial relief. 4. Improves Quality of Life - studies show that people who treat their hearing loss are less likely to feel isolated and have depressive tendencies. How to treat a hearing loss? ​can have on our patients is what fuels us all here at Pristine Hearing. We get immense satisfaction and a sense of fulfilment when we can help patients reconnect to love ones and get on with their lives. In many ways, our work here can help repair relationships and marriages which have unfortunately been let down due to poor communication as a result of poor hearing. 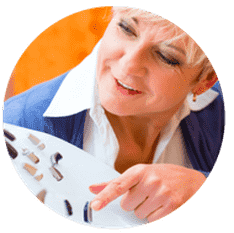 Although hearing aids are not the only solution for treating hearing loss, for most patients, they will be central to any aural rehabilitation offered. If hearing aids are recommended at your appointment, you are under no obligation to acquire them and you definitely don't have to make any decisions on the spot. Pristine Hearing Audiologists will always offer a range of treatment options for you to consider and discuss with your loved ones to determine what would be best for you. 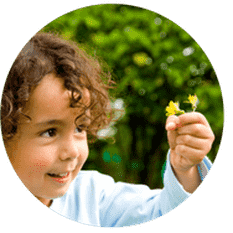 ​​ We specialise in giving our patients choice but to also ensure they understand the pros and cons of all the available treatment options so that their decision is informed and considered. process with respect, professional expertise & honesty. The most common cause of permanent hearing loss in from exposure to loud noise and ageing. Unfortunately we are unable to prevent hearing loss associated with ageing (presbycusis). For people with good family genes, presbycusis may not become an issue until much later in life. However, the majority of people will see signs of this form of hearing loss from about 60 yo+. Unlike presbycusis, noise induced hearing loss (NIHL) is preventable. It has a lot to do with the amount of exposure you have to any sound that is 85dBA or louder. As the level of sound increases above this level, the accumulative damage occurs over a shorter period of time. To reduce the risks of NIHL, wearing professionally made custom ear plugs can help. Join our exclusive VIP mailing list for discounts, latest news about new hearing aid technology, new treatments for hearing loss & tinnitus as well as invites to information sessions & the trial of new devices.